Big Data Analytics for Sensor-Network Collected Intelligence explores state-of-the-art methods for using advanced ICT technologies to perform intelligent analysis on sensor collected data. The book shows how to develop systems that automatically detect natural and human-made events, how to examine people’s behaviors, and how to unobtrusively provide better services. It begins by exploring big data architecture and platforms, covering the cloud computing infrastructure and how data is stored and visualized. The book then explores how big data is processed and managed, the key security and privacy issues involved, and the approaches used to ensure data quality. 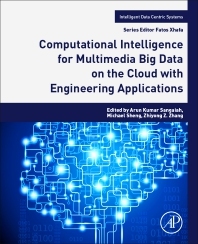 In addition, readers will find a thorough examination of big data analytics, analyzing statistical methods for data analytics and data mining, along with a detailed look at big data intelligence, ubiquitous and mobile computing, and designing intelligence system based on context and situation. Hui-Huang Hsu is a Professor in the Department of Computer Science and Information Engineering at Tamkang University in Taiwan. He also serves as the Dean of College of Engineering since August 2016. Previously, he was the Chairman of the Department. Prof. Hsu received both his Ph.D. and M.S. Degrees from the Department of Electrical and Computer Engineering at the University of Florida, USA. He got his B.E. degree in Electrical Engineering from Tamkang University. He has worked in the areas of machine learning, data mining, ambient intelligence, bio-medical informatics, and multimedia processing. 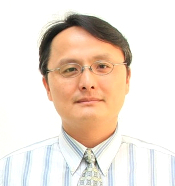 Prof. Hsu is a senior member of the IEEE. He is also an Executive Board Member of Taiwanese Association for Artificial Intelligence (TAAI). Chuan-Yu Chang is Distinguished Professor and Dean of Research and Development at National Yunlin University of Science and Technology, Taiwan. 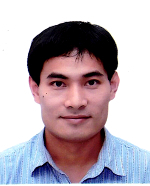 He has more than 150 publications in journals and conference proceedings, and his research interests include machine learning, medical image processing, wafer defect inspection, digital watermarking, and pattern recognition. Ching-Hsien Hsu is a Professor in Department of Computer Science and Information Engineering at Chung Hua University, Taiwan. His research includes cloud computing, big data analytics, parallel and distributed systems, high performance computing, ubiquitous/pervasive computing and intelligence. 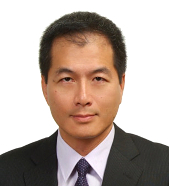 Dr. Hsu is the Editor-in-Chief of International Journal of Grid and High Performance Computing and International Journal of Big Data Intelligence and serves as on the editorial board of a number of other journals. He has published 250 papers in refereed journals and conference proceedings and served as an author or editor of 10 books.